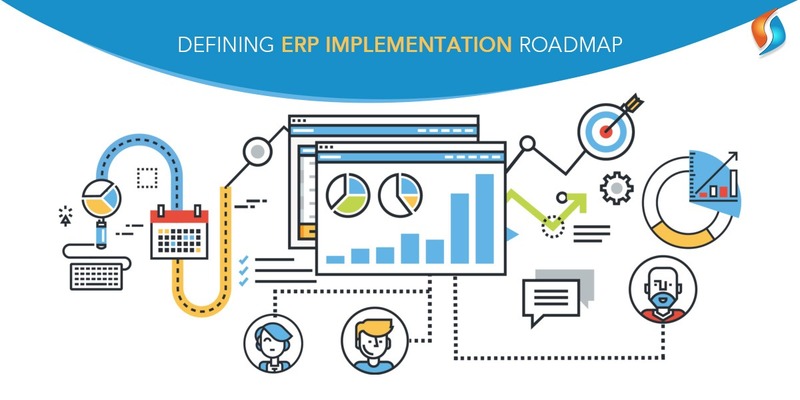 Defining ERP Implementation Road Map. With competition increasing with each passing day, the companies today need to keep evolving to thrive in the marketplace successfully. There is a constant need to keep customers satisfied without compromising on the profits. So to maximize the use of their resources and improving operations, many companies are implementing enterprise application software to their businesses. The overall growth of a company gets a boost with proper ERP implementation as it develops new business strategies keeping in view the current market trends. Before implementing ERP, you should thoroughly access your company’s needs. Studying critical business processes and Key Performance Indicators (KPI) will help you in identifying the correct mobile enterprise solutions. Proper guidance to the ERP implementation process is a must. Taking the services of trained professionals will not only make your work easy but also save a lot of precious time. You can thus direct the time you save to other important business tasks. What’s your industry all about and the needs of your business play a pivotal role in choosing the right ERP solution? Taking the services of an enterprise app development company can be helpful in deciding whether you need a cloud computing ERP system or an on-premise ERP system. Because at the end it all boils down to your business needs and capacity. A proper analysis of the data before entering into the ERP database is a must. After completing the entry part, you can remove the outdated data that’s no longer needed. The key to successful ERP system integration is maintaining the integrity of your business data. Now after completing the above steps, it’s the time to launch your ERP system. The ERP consultant will help in chalking out the map to install, configure and optimize the system as per your business needs. The ERP solutions have come a long way with time and have become more advanced and efficient. But it isn’t possible to rule out the technical glitches entirely. For smooth implementation and functioning, system and user acceptance testing is a must. Proper training of your employees to use the configured enterprise application software is an essential aspect of the implementation process. To make your business grow everyone needs to be up to speed. And the IT team should have a proper rehearsal to handle any technical problem that may crop up now and then. After proper configuration of the enterprise mobile applications and employee training, you can activate your ERP system. And it is always a good recommendation for a mobility service provider to keep a close watch on the working of the ERP system. Any system needs upgrades and maintenance, so is ERP. After installation, it is important to regularly check the ERP system for the latest updates to offer smooth and glitch-free performance. Get the right Enterprise Application Software! A successful ERP implementation can do wonders for your business. You can make your company do the talking and make a mark in the competitive market. So, do you wish to implement ERP and get ahead of your competition? Want to go a notch higher by incorporating the ERP solutions into your business? Well, look nowhere when Signity Solutions is here. We give our best in understanding and fulfilling your goals. Feel free to contact our IT outsourcing services, and we will revert at the earliest.